It’s National Gifted Parenting week here in US. 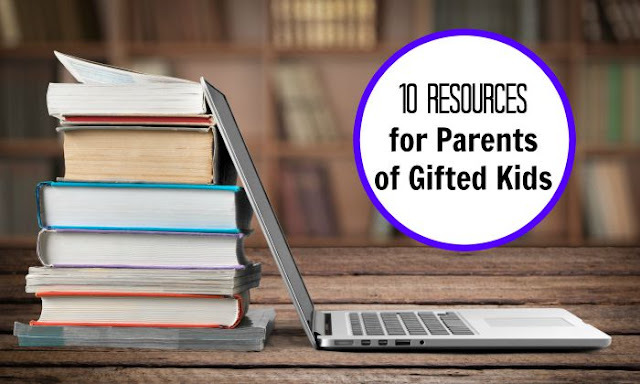 In honor of it, I want to share 10 resources that I found most useful while looking to understand and raise my own gifted child. National Association for Gifted Children has a mission to “support and develop policies and practices that encourage and respond to the diverse expressions of gifts and talents in children and youth from all cultures, racial and ethnic backgrounds, and socioeconomic groups”. It has a big resource section for parents answering many questions on common characteristics of giftedness, tests, motivation, etc. Davidson Institute for Talent Development administers specific programs for identified gifted students. Aa application to Davidson program requires specific intelligence or achievement tests, and we chose not to apply at this point. What I like about Davidson Institute is its database of articles and a thorough explanation of gifted policies per state. Hoagies' Gifted is a site that is run by Carolyn, a parent of gifted children. Since this is not a site run by a big organization with web development resources, it’s not as slick as others, but it has a lot of great information. My favorite part is Hoagies' Gifted Blog Hops where many bloggers, including myself, get to contribute their points of views on the topic of the month. Also, Hoagies' Facebook page has a great community and shares terrific resources on gifted topics every day. 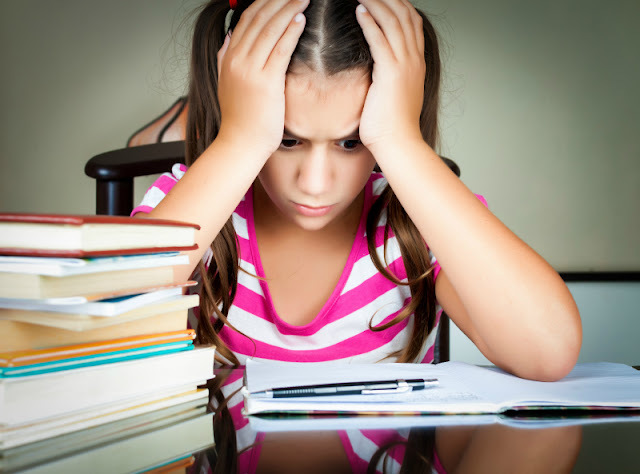 Many gifted children and adults struggle to control their emotions and overexcitabilities. SENG (supporting emotional needs of gifted) has a mission to 'empower families and communities to guide gifted and talented individuals to reach their goals: intellectually,physically, emotionally, socially, and spiritually". There is a lot of information in the resource section with the focus on emotional needs. There are several communities of parents of gifted children online. I tried several, but some of them are too focused on gifted testing and gifted achievement. I recently discovered Raising Poppies run by fellow bloggers, and I really enjoy participating in discussions there. It’s a friendly and inclusive community that doesn’t require any “giftedness proof” to join. I have to give a disclaimer here that I didn’t know much about Gifted Homeschoolers before writing this post, because I am not homeschooling. Some of my friends who do homeschool said that GHF is a great place to meet new friends and exchange ideas. 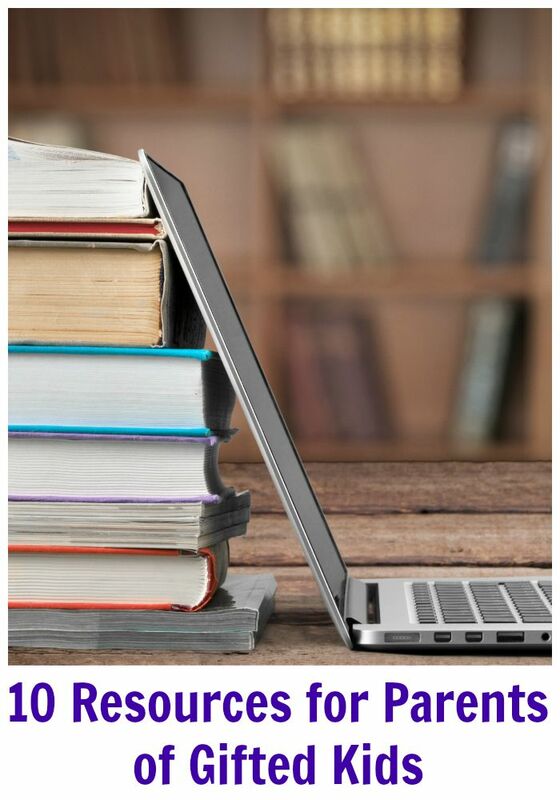 Several people from GHF were kind enough to comment and explain that despite its name Gifted Homeschoolers supports all gifted learners regardless of educational choices, so now I am very interested to get to know this organization better. Byrdseed is written by a teacher of gifted students, and it has many intriguing resources for gifted kids and their parents. I check it quite often! Celi is a passionate gifted advocate who is very clear about two things – raising gifted kids is not all roses and sunshine and that our society mostly ignores the needs of gifted. I enjoy her advocacy blog even though I sometimes leave it depressed and somewhat anxious for trusting my child’s education to supposedly impossibly broken public school system. It's a good place for homeschoolers, since this blog certainly validates this educational choice. My Little Poppies presents an interesting perspective on unexpected homeschooling because of lack of fit in school. Even though we don’t homeschool, I can certainly sympathize with the feeling that this is the only avenue available. In fact, in the middle of disastrous second grade, we were contemplating pulling our daughter out of public school as well, but, thankfully, third grade was much better for us. Don’t you just love the name of this blog? 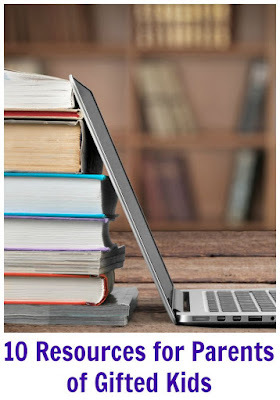 I enjoy reading Colleen’s blog Raising Lifelong Learners and her adventures in homeschooling 2E gifted kids of different ages. I cannot really connect to each post, since I am not homeschooling, but I enjoy her STEM resources and informational posts about gifted kids. What are some of your favorite resources for gifted children? You named most of the sources I'm familiar with for gifted learners. They are certainly a challenge in their own right, and one that doesn't get the support they need in public schools because "they're already on level" (speaking from a former teacher's viewpoint, and the struggled with what you can do and what you're trained to do). GHF - isn't just for homeschoolers! We reach 350,000 parents & professionals on six continents every week. Many have their kids in various school settings. Our purpose is to help families understand their gifted and 2e kids and provide them with the resources they need in whatever setting works best for their family. Also, while we do ask for membership support from the community, we provide most of our services for free. Come check out our website http://giftedhomeschoolers.org or our Facebook page and see! Thank you for the list! I also wanted to say that GHF is an amazing organisation and you don't have to be a homeschooler! Plus ALL the FB posts = wonderfully FREE information. Definitely my go to page for anything gifted related. I am part of the GHF team and am amazed that our group includes non-homeschoolers, professionals who dedicate their careers to gifted kids, bloggers (the two poppies above included! ), and homeschoolers. I just wanted to drop you a note to thank you for the shout outs. I'm honored to be included and your recommendation means more than you'll know! Dear GHF friends. Thanks for commenting on my post - I updated it based on your clarifications about GHF.